Disney has completely redone California Adventure Park in order to create a more Disneyland like feel to the park, ultimately giving people more reasons to spend an entire day at the park. I recently treated my mom to a trip there, where we also attended a charity event held by the Disneyland cast members. I have been a fan of Disney since I was a child and studied the history of the Walt Disney Company over and over as a hobby. 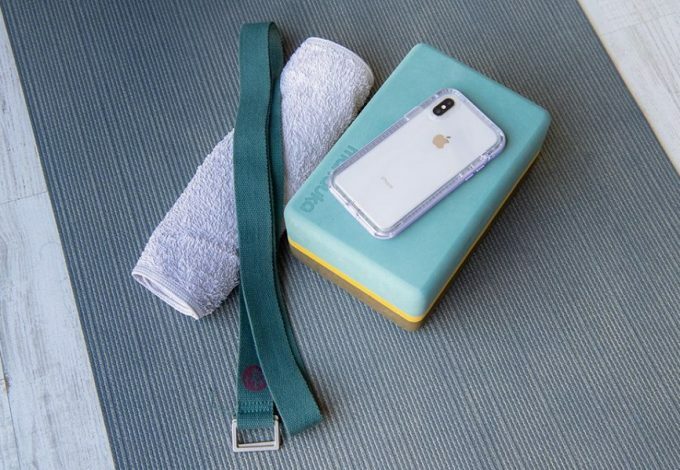 If you are familiar with Disney, you know that the company loves the idea of hidden surprises throughout their parks and resorts. Let’s take a detailed look at the new Buena Vista Street in Disney’s California Adventure Park, and see just how much of Walt’s past has been hidden in plain sight throughout the remodel. First it needs to be understood that Buena Vista Street is a real place, and in the 1920’s it was a street that Walt Disney frequented. In fact, it is the same street that Walt built his studio on, and where it is still located today in Burbank California. When the Disney Company decided to build the in park Buena Vista street, they wanted to give it the same 1920’s feel, and they did a very good job of just that. However, they also pulled things from Walt’s past and inserted them all into the replica. Creating a new version of Buena Vista Street, that could be described as straight out of Walt’s mind. Let’s kick this California Adventure secrets list off with one of the more lesser-known, but iconic at the same time, secrets hiding on Buena Vista Street. When you enter Disney’s California Adventure, you will surely feel as if you walked through a portal, into the past. 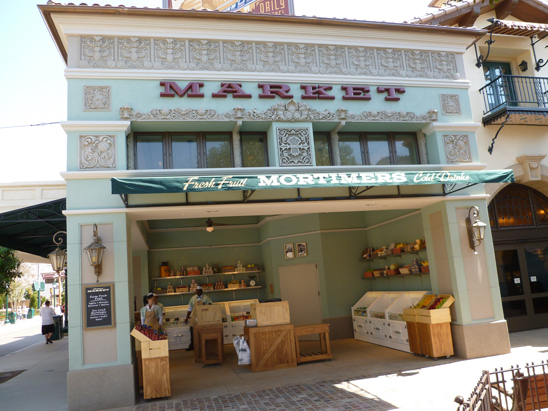 You will see a market called Mortimer’s Market. Boasting Fresh Fruit and cold drinks, but this market delivers more history than just a fresh fruit stand from the ‘20’s. Many think that Mickey was one of the first cartoons Walt created, but there is so much more to the story. Walt first worked for Universal, creating cartoons called Funny Animals, and one of those characters was Oswald The Lucky Rabbit. Walt had no idea that the rights would be taken from him to that character, and Universal took over Oswald The Lucky Rabbit. So, Walt decided to tweak the character a bit and came up with Mortimer Mouse. However Walt’s wife wasn’t a fan of the name, so his name was changed, we will give you one guess to what his name changed to…Mickey Mouse. Though Walt would hold onto the name Mortimer for a nemesis of Mickey later on. 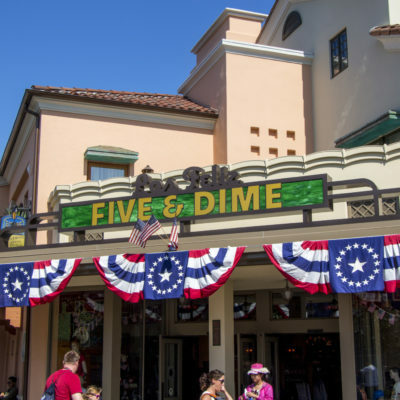 There are many stores on Buena Vista Street, and we will touch on some of them later, but for now let’s take a look at Los Feliz Five & Dime. 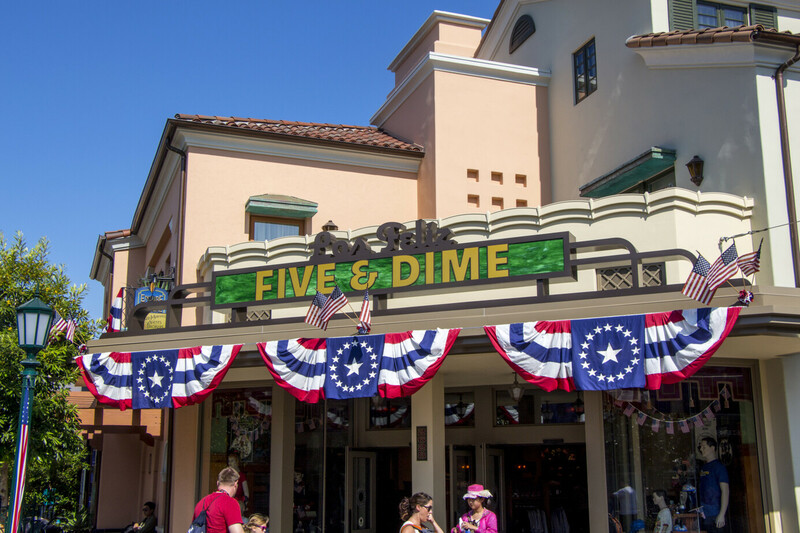 The Five & Dime store has a window front, that displays things that were common for the time, one of which is an American Flag. But this is no ordinary flag. Which brings us to the next detail that was not spared. Anywhere you go in the US you are sure to find a mailbox or two. 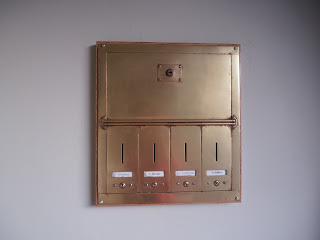 On Buena Vista Street, there are a few mailboxes, each with a name you may be familiar with. This set of mailboxes, which even seem to have some mail inside, belong to some familiar people. The first is an homage to a dedicated cast member and Disney fan at heart, Staci Yoshiwara. Staci was a beloved cast member, but unfortunately she passed away before the completion of Buena Vista Street, and will now live on as a part of the park. Staci falls in line with Eddie Valiant, from Who Framed Roger Rabbit, Theodore Ogilvie, from Disney’s The Apple Dumpling Gang, and Peavy Peabody from Disney’s The Rocketeer. The last two are also homages and my personal favorites. 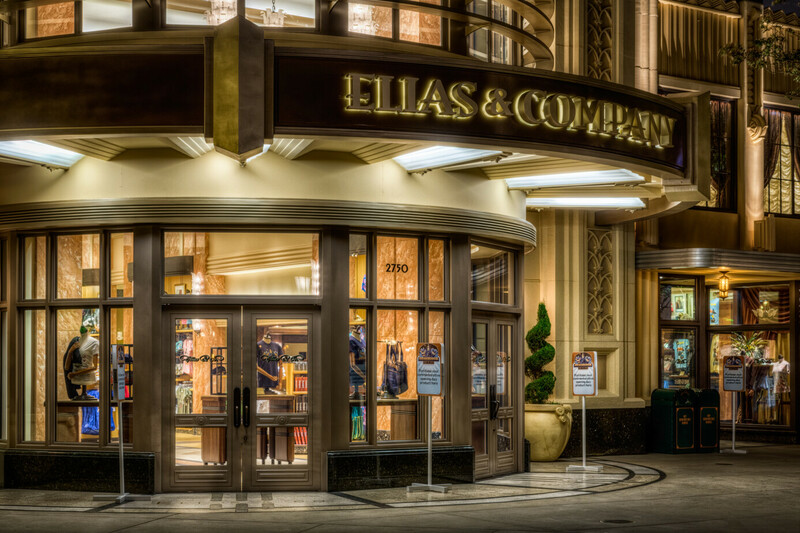 There is a store towards the end of Buena Vista Street by the name of Elias & Company. The store is one of the main stores on Buena Vista Street, as well it should be, since it is named of Walt’s father. You may think that the store is named after Walt himself, as if there is not enough around that is named after him. Walt’s middle name is Elias, but he got that name from his father Elias Charles Disney. 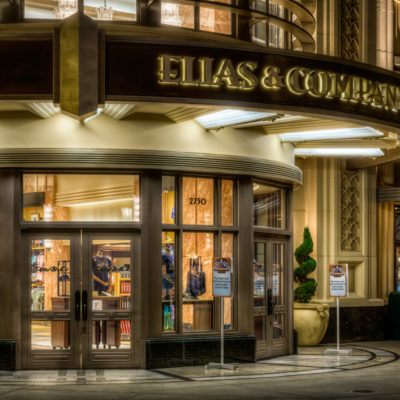 One hint that the store is named after his father is another fake store inside of Elias & Company. There is a sign inside for Flora’s Beauty Parlor. Elias was married to Flora Call Disney, Walt’s mother. 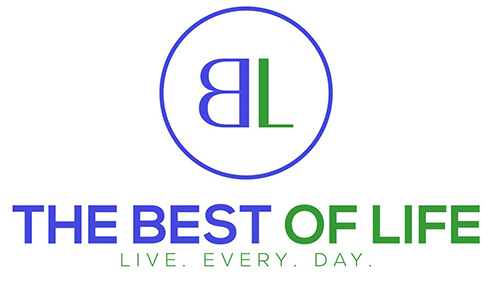 Inside this store, there are many other hidden secrets besides the beauty parlor. Like on a manikin inside, who is wearing a suit made to resemble the same suit Walt wore to the opening night of Snow White and The Seven Dwarfs. The movie was Walt’s first full-length cartoon to be played at the Carthay Circle Theatre, which can also be found on Buena Vista Street. There are so many more secrets, to Buena Vista Street, but the best way to find them all, is to go to Disney’s California Adventure and pay attention to details. Knowing that Disney pays attention to every little detail is enough to go off on your own and ask questions. Most of the time, the cast members will know the history, so don’t be afraid to ask. Which leads me to the fifth hidden secret that I will leave you with – and leave it very vague – for you to find on your own. There is a living piece of history at the end of Buena Vista Street which can provide shelter, as well as create great furniture pieces. Good luck, have fun and be sure to show your Disney Side!